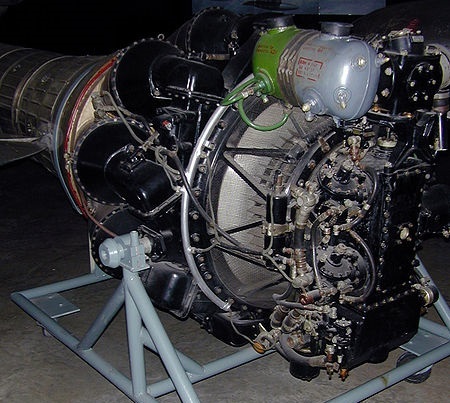 During the Second World War the Soviet Union had been working on turobjet engines, but was delayed by the invasion from Nazi Germany, Fascist Italy and their Axis Allies including Hungary, Romania, Bulgaria, Finland, Spain and others. 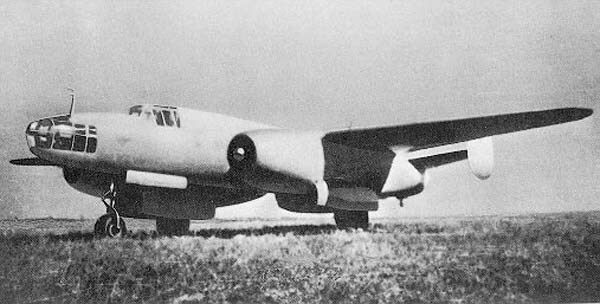 In spite of military and political setbacks, the Soviet Union was able to complete the Berezenyak-Isaiev BI series of rocket fighters including the Berezenyak-Isaiev BI-6-III (1/72 MSD, EASTERN EXPRESS) flown with two Merkulov DM-4 ramjets in 1943. This was followed by construction of the Tichonrawow 302 (1/72 A+V Models) following the same format of power from a single Dushkin RD-2M rocket engine then adopted to two Merkulov DM-4 ramjets. This same year the Gudkov Gu-VRD (1/72 Unicraft) was worked on to nearly 80% completion to be powered by a Lyulka RDT-1/VDR-2 axial-flow turbojet, the first built and tested in the Soviet Union. However, as with many early jet projects, the airframe was ready, but engine development lagged. 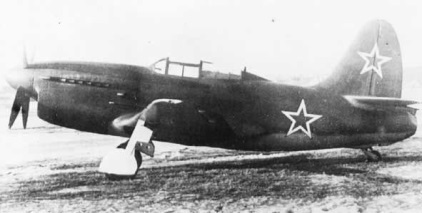 In an effort to meet the conditions Stalin had ordered in catching up with the Axis and Allies in jet development the bureaus of Mikoyan-Gueryvich (MiG) and Sukhoi improvised what were to be known as motorjets with an inline piston engine serving as an auxilliary to a jet engine in the tail of a conventional looking aircraft. For this the Mikoyan-Gureyvich MiG-13 (available in 1/72 Omega) and Sukhoi Su-5 (1/72 PROP & JET, MPM, Master-X) utlized identical powerplants consisting of a Klimov VK-107A piston engine in conjunction with a Khalshchevnikov VRDK motorjet. Only the MiG-13 reach production status. 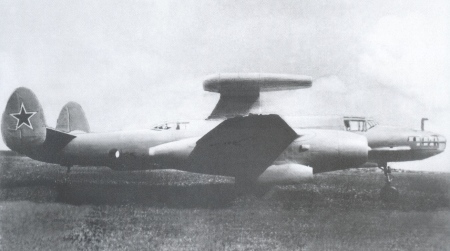 Near the end of the war the Soviet Union came into posession of Germany technology in the forms of the BMW003 and Junkers Jumo 004 axial-flow turbojets. These were then ordered into production by Stalin as the Tumansky RD-20 and Tumansky RD-10 respectively. This technology gave a jump to the Soviet design bureaus which Stalin then ordered to have fighter aircraft ready by late 1945. 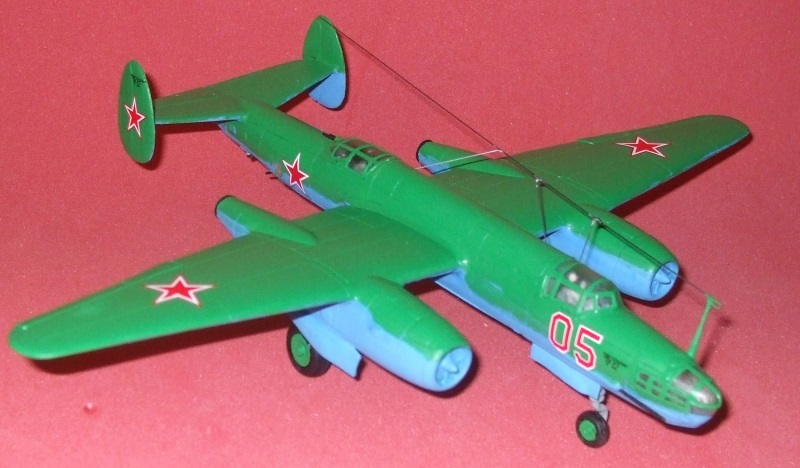 In this regard Mikoyan-Gureyvich came up with the MiG-9 (available in 1/72 Skaraby, MPM, Amodel) powered by two RD-20s, Yakovlev the Yak-15 (1/72 speciaL hOBBY, BRENGUN, EASTERN EXPRESS, PM, Matchbox, IAKU) powered by an RD-10, Sukhoi the Su-9K (1/72 PROP & JET) powered by two RD-10s and Lavochkin the La-150 (1/72 PROP & JET, Unicraft) with an RD-10. However, these projects were delayed until 1946 as Stalin became obsessed with bombers, especially concerns with the American Boeing B-29 Superfortress then being imitated by Tupolev as the Tu-4 (1/72 MODELIST), NATO code named "Bull." Naturally this led to the next logical step being a jet powered bomber. For this the bureau of Tupolev was charged with making one. Dr. Tupolev had been doing some research into this area in anticipation of Stalin's ambitions. 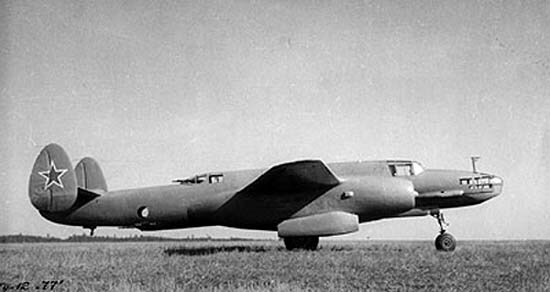 The first attempt was to be the Tupolev Tu-73 jet-engined bomber, however, delays set in with the Lyulka engine development and the project fell behind. However, the United Kingdom had released the Rolls-Royce RB.41 Nene centrifuge turbojet to the Soviet Union. The Nene then became the Klimov RD-45 for Soviet production. In light of this, Dr. Tupolev decided that to meet Stalin's deadlines it would be faster to adopt the piston engined Tupolev Tu-2 with the new jet engines. By May 1947 a Tu-2 was in the conversion process which included replacement of the radial engines with the RD-45 jets, lengthening the fuselage by 16 inches (40 cms), raising the height by 12 inches (30 cms), reduction of the wing dihedral from 3° to 6°, addition of a nosewheel for a tricycle undercarriage, addition of a 23 mm (0.91 in) Nudelman-Suranov NS-23 cannon in place of the machine guns and wing re-enforcements with additional fuel tanks. 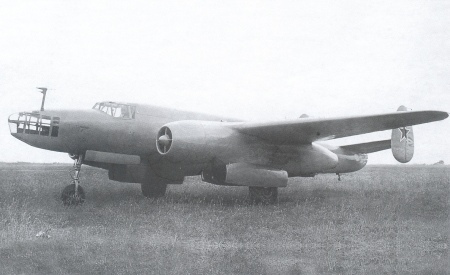 Five prototypes were converted from Tu-2 air frames and one new prototype was constructed. One unusal aspect of the Tu-12 was its dual role as a torpedo and dive bomber aircraft. The only other such jet powered aircraft were the German Henschel Hs-132 (1/72 HUMA, RS Models, A+V Models) and Blohm und Voss BV P.178 (1/72 BRONCO), neither of which saw service, and the Arado Ar-234 Blitz (1/72 Revell, Matchbox, DRAGON, Lindberg), pressed into this unintended role, along with the Messerschmitt Me-262 Sturmvogel (1/72 Matchbox, Aifix, Revell, Heller, Academy, MPM, speciaL hOBBY, High Planes), in attempts to destroy the Lundendorff Bridge at Remagen in the final days of World War II. The new﻿ Tupolev aircraft first flew on 27 July 1947 and again on 3 August 1947 during the Tushino Aviation Day Display. State acceptance trials began on 4 October 1947 concluding 27 February 1948 at which time the new designation of Tu-12 became official. However, the aircraft was not put into series production pending several problems. These included lack of pressurization in the cabin, no de-icing equipment, difficulty in manuvering to fire the guns by the gun crews, the nose cannon vibrating so violently that it broke the nose glazing (a similar nose glazing problem shared with America's first jet bomber, the Douglas XB-43 Jetmaster (1/72 ANiGRAND) and low to almost no electrical power from overall vibration of the airframe. Some mock-combat trials were later conducted against MiG-9s and Yak-23s (1/72 from speciaL hOBBY, KP Models, MISTER CRAFT) which demonstrated the advatages and vunerabilities for all of the aircraft involved. The six Tu-12s served as test airframes for various engines, as target tugs, drone tests and even to test pulse jet engines. Overall the Tupolev Tu-12 served as a good transition aircraft for the VVS going from piston- to jet-powered aircraft. 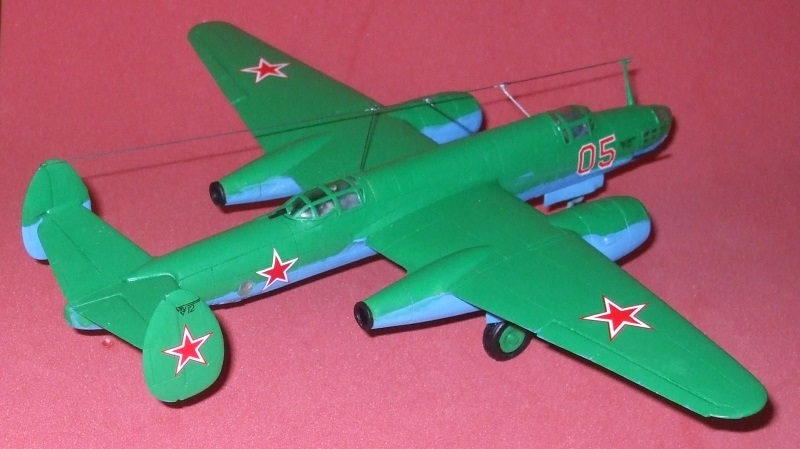 In the end it was the first designed, built and flown jet-bomber of the Soviet Union and as such has been selected by the International Resin Modellers Association for IRMA Kit No. 9 Tupolev Tu-12. An interesting side note for Luftwaffe '46 fans, based on the Alliance with the United Kingdom and the United States of America, this aircraft would most likely have come into existence and sooner with the shared technologies of the lend-lease acts between the three major Allied Powers should the war have continued. This is of course purly speculative.